Who hasn’t seen yet, on Instagram, this supernatural dream pool? A recent project near Mount Amiata. 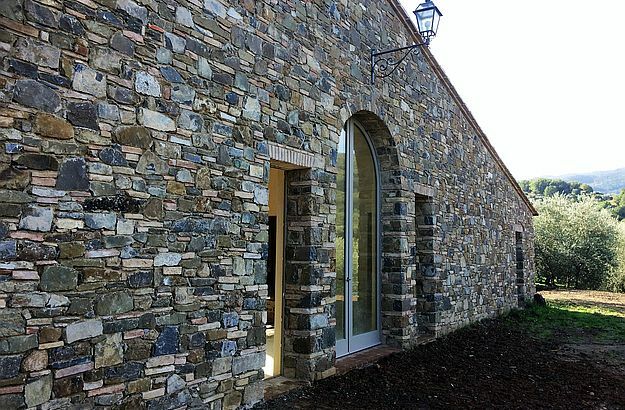 The superb Pietroso Brunello winery has been dreamt up and made by Marco. 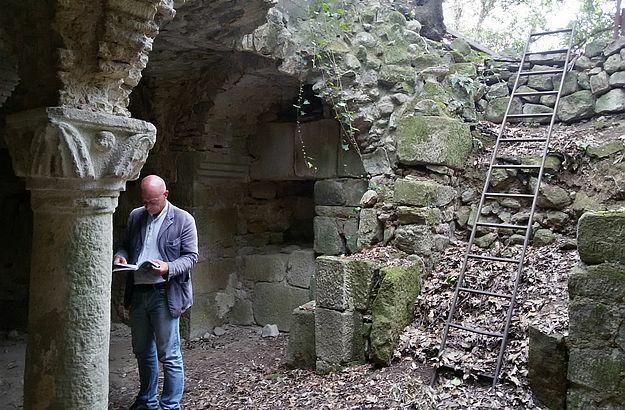 Marco exploring here the ghost abbey of San Salvatore di Giugnano. 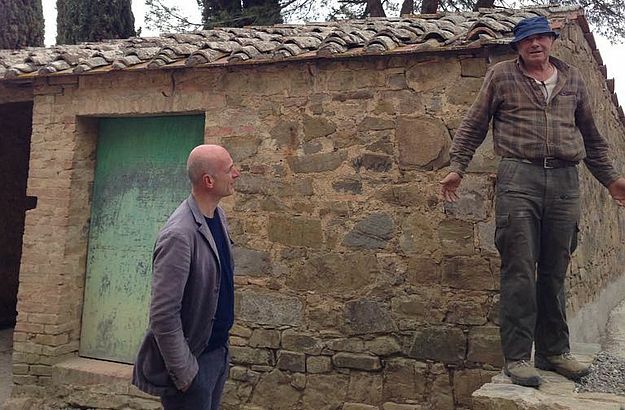 Oriano, one of Marco's favorite Tuscan artisans, on a construction site in the Val d'Orcia. 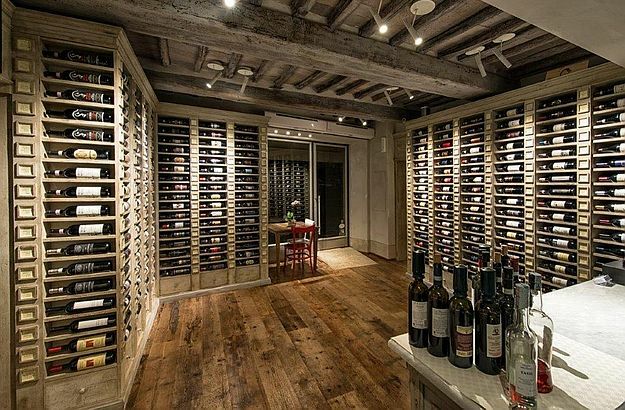 This Montalcino restaurant has also been designed by Marco Pignattai. I happen to have stood at the very edge of this swimming pool. This occurred a few months ago when I was invited to the beautiful villa which shelters it, in Montalcino – a residence not yet featured in our Trust & Travel rental catalogue, but I shall let you know if this changes some day. 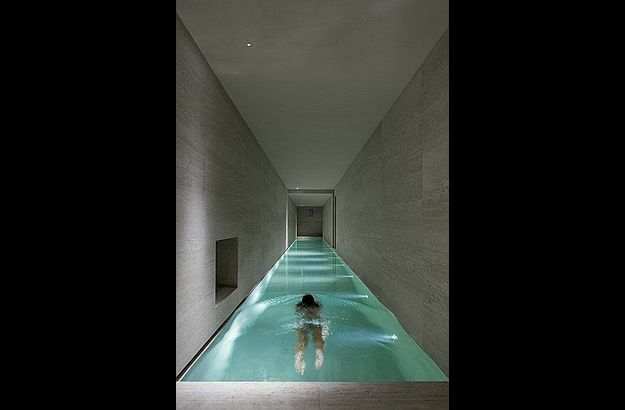 And I also happen to know, lucky me, the Italian architect who designed this pool, Marco Pignattai. Marco is Rafaella’s husband. You may remember that I told you, in a previous blog post, about Rafaella’s cooking classes. 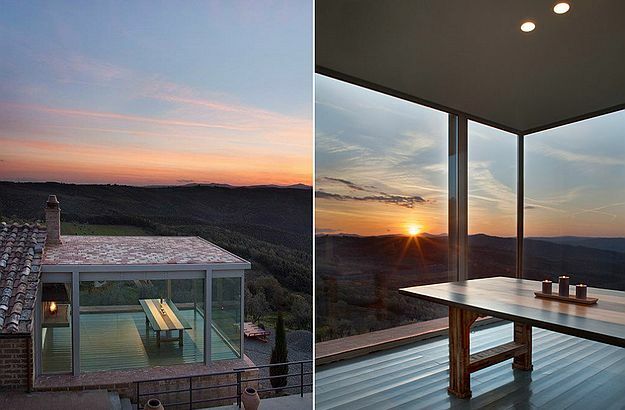 A native of Montalcino, Marco studied architecture in Florence, then went on to work in Rome, Milan and London before returning to the Val d’Orcia to open up, in his home town, his own architecture studio. The last time I saw Marco, we had a long conversation about Italy’s architectural legacy – this is a subject I have a deep passion for. Many times in the past, I had asked myself: how can we strike the right balance between the traditional and the contemporary in our efforts to preserve and enrich the country’s exceptional heritage? Marco’s achievements clearly demonstrate that he has found the answer to this question. To him, the key is to draw inspiration from both the old and the new masters, to relentlessly study their works and methods, and of course to synthesize all this into tangible creations. When restoring a Tuscan farmhouse or villa, Marco always seeks to leave intact as much as the original structure as possible, but never refrains from blending in a few contemporary touches. Most of Marco’s projects are privately owned, and therefore not easily accessible to the general public. 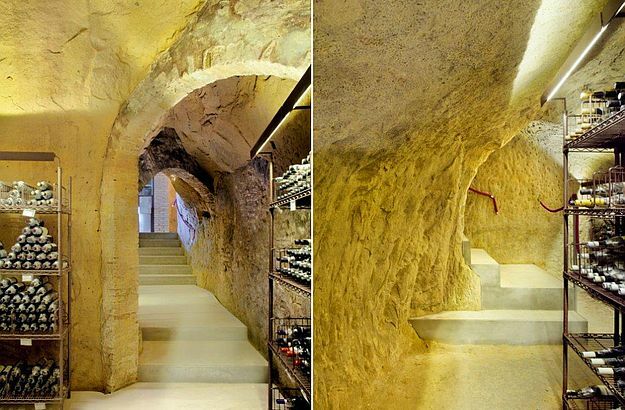 But if you happen to be doing some sightseeing in Siena, make sure to drop by the unTubo bar and concert venue, and edge your way into its beautiful wine cellar, which Marco Pignattai designed, as you’ll see, with great craftsmanship and a keen eye for detail. By the way, Trust&Travel is on Instagram too!